Table-topping Inter Milan extended their lead in Serie A to seven points with a 0-2 win at Cagliari. 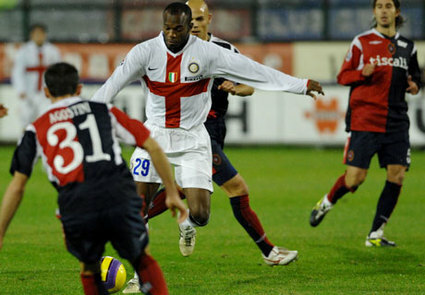 Julio Cruz and David Suazo were on target for Inter. Second-placed Roma only managed a 0-0 draw against Torino. Elsewhere, Juventus picked up three points at Lazio in a 2-3 win. 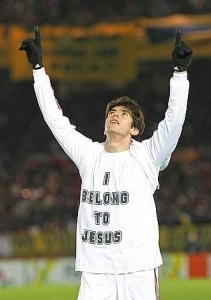 In case anybody was wondering about his availability, Kaka still belongs to Jesus. He showed off his trademark slogan t-shirt again after AC Milan’s 2-4 victory over Boca Juniors in the World Club Cup.